Jasper B. Caldwell, 56, of Navasota passed away Wednesday, November 28, 2018. Funeral Services are set for 11AM Tuesday, December 4 in the United Full Gospel Baptist Church with burial to follow in the Oakwood Cemetery. Born November 13, 1962 in Bryan he was the son of Floyd Warren and Mary (Davis) Chambers. Jasper loved to play football, and was a Cowboy’s and Aggies fan. His favorite food was Church’s Fried Chicken. He graduated from Bryan High in 1981, and then went to Blinn College to study Business. Jasper retired from Grant Prideco after 20 years and had been with Sam’s Club for over three years. He is preceded in death by his parents; and grandparents. 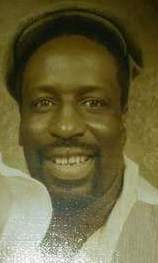 Jasper leaves behind to cherish his memories, his loving wife of 17 years, Terry Caldwell; three sons, Bernard Hutchins, Jeremy Williams, and Christopher Williams and wife Delores; two daughters, Shanquice Caldwell, and Sheena Williams; his mother, Mary Chambers and step father Floyd Warren; five brothers, Gary Caldwell, Zachery Davis and wife Ralonda, Billy Warren, Elbert Warren, and Paul Moore; two sisters, Areleana Barns and Eddie Ray, and Janie Lewis; he also leaves twelve grandchildren.